Mangoes are delicious for your skin and not just for your taste buds. Does that sound strange to you? Well, while mango is loved by thousands and thousands of Indians for having catered to their appetite for ages with its exotic sweetness and flavor, not many people are aware of the beauty benefits that this soft, juicy fruit is capable of. Mangoes can be amazing for your skin. Therefore, do not forget to treat your skin with its pulpy flesh while gorging on frozen mango slices and relishing mango shakes in this summer. • Mango, which is rich in Vitamin A (beta-carotene), contains powerful anti-oxidants; thus, it helps in imparting a younger-looking skin. • It is helps in regeneration of skin cells. • It is useful in restoring the elasticity of skin. • Including mango in skincare regimen ensures that dry skin is moisturized and it helps to prevent wrinkle formation. • It helps to shield the skin from clogged pores and sun damages. 1. Mango Body Scrub (to make skin soft): You would need one mango, one spoon of honey, two spoons of milk and half-a-cup of sugar. Blend the ingredients thoroughly and use this scrub while taking bath. Rub it vigorously all over your body and then, rinse with warm water, followed by cold water. Your skin will feel smooth and supple. 2. Raw Mango Astringent (for acne prone skin): If you have acnes and you want to treat it with a natural astringent, boil some raw mangoes (without peeling them) in water and let it cool; use this solution for your skin. 3. Mango Face Cleanser (to remove tanning): Mix the pulp of mango with flour and honey to make a thick paste. Let it stay on your face for about fifteen minutes and wash by scrubbing gently. It cleanses your face and also helps to remove summer tanning when used regularly. 4. Mango-Milk Face Mask (for exfoliating normal skin): You would need peeled ripe mango (1/4), two spoons of whole milk, powdered almonds and crushed oats. The components have to be mixed thoroughly in a blender. Apply it on your face as well as on your neck. Wait for twenty minutes and rinse in lukewarm water. 5. Mango Pulp Face Mask (for oily skin): Just wash your face in cold water and apply the smashed pulp of mango on it; keep for about ten minutes and wash off. 6. Mango-Honey Face Pack (suitable for all skin types): Take two spoons of smashed mango pulp and mix it with one spoon of honey and one spoon of almond oil. Apply on your face and wait for fifteen minutes. Rinse it with cool water. 7. Mango-Yoghurt Face Pack (to relieve dry sensitive skin): This face pack is a soothing and nourishing treat for sensitive skin. Just mix the pulp of a mango with six spoons of yoghurt. Apply it on your face and wash off after fifteen minutes. Top Reasons To Use Mango In Skincare Recipes? • Mango juice has vitamins that help in protecting your skin from the adverse effects of the atmosphere as well as acne problems in summer. • Vitamin C, contained in mangoes, boosts in the production of collagen which in turn, imparts a healthy looking skin. Thus, using it in face packs and in diet is beneficial. • Mango juice has revitalizing effect that eats away the dullness your skin suffers from in the hot and humid weather. 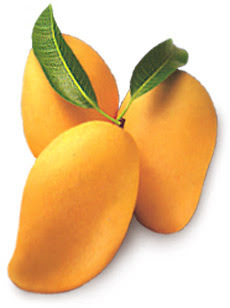 • Lastly, mangoes are available in plenty in Indian markets (especially in the eastern regions). They are pretty cheap as seasonal fruits and very appetizing too. So, when you have mangoes coming in your house to fill your fruit basket in the summers, why should you not take the fair chance to treat your skin as well? Tips and Warnings: Do not use the mango-skin in your beauty regimen as you might suffer from skin irritation. It is also advised that you use separate knives to scrape the skin and cut the pulp. Avoid using the mango pulp close to the mango skin. It should be perfectly fine if you peel the mangoes properly; but if you still feel that the fruit is not suiting your skin type, do not use it for your skin care treatments. Does Beauty Breed Inferiority Complex? sych a wonderful article and the last part where you advised. If you are getting acne while you eat mango, make sure you dip the mango for 3-4 hours in water. If you want it cold you can dip the mango in water and refrigerate it and enjoy it without worries. It helps remove the heat from the mango that is generated. I can understand your situation as i used to get lots of acne if i eat mango without dipping in water. Since now when i have started doing this, i get no acnes at all. i would end up eating them……missing the mango……perils of being away fro homee…. Thanx everyone 🙂 was off to Puri and the first thing I did after returning was to take a bath and then check this one out!! !